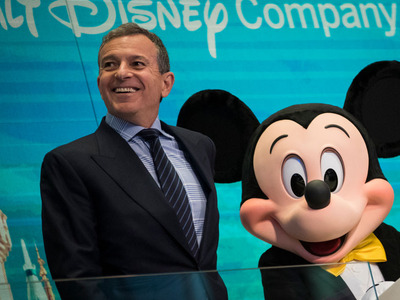 Drew Angerer/Getty ImagesDisney CEO Bob Iger. DisneyCEO Bob Iger said he wakes up at 4:15 a.m. most days and avoids using his phone until he’s finished his morning exercise routine. Iger said his “firewall with technology” helps him organise his thoughts and set him up for success. He’s one of many successful people who say they wake up before the sun rises. The first thing many people do after they wake up in the morning is check their phones. Not Disney CEO Bob Iger, who revealed on Tuesday that not only does he get up at 4:15 a.m., he also avoids looking at his phone until after his morning exercise routine. Iger calls it his technology “firewall,” and he said it helps him clear his head before he starts his day. Iger said the “quiet time” he spends each morning when he’s not on his phone sets him up for success throughout the day. “I think it’s vital, in terms of the ability to run a pretty complicated company in a very, very fast-paced world, to have the energy but also to have spent the time to organise one’s thoughts,” he said. Iger is far from the first successful person to extol the virtues of waking up early. Everyone from Apple CEO Tim Cook to former first lady Michelle Obama and former Navy SEAL Jocko Willink have gone on record about their pre-5 a.m. morning routines.